I'm sorry to say that this book fell flat for me most of the time. This book is about a Hunter named Joy, who is summoned to Apex to protect the citizens from the dangerous Othersiders. There Joy quickly gains fame but soon she realizes that being famous can be quite dangerous with the political games happening in Apex. I don't like giving negative reviews, but I realize that I can't avoid it for this book. I was really bored while reading this book because it just wasn't captivating at all. I didn't feel any connection to the story or the characters in any way for some reason. Then there is also the fact that most of the book was just a information dump. There was key information and a lot of bits of information that we won't need for the rest of the book. The characters were absolutely bland. They were all so stereotypical with no original personality. 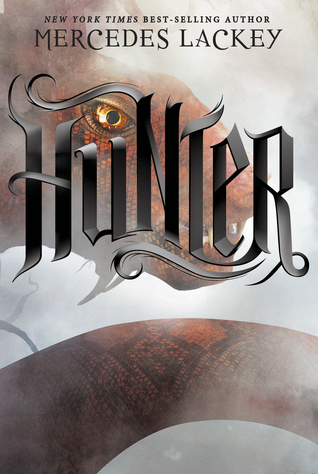 Ace, the most famous Hunter, is drunk on his fame and mean. Josh is the perfect gentleman, good-looking, mannered and everything. And don't even get me started on Joy. She was always the super "special" one throughout the entire book. She could do everything other Hunters couldn't and was literally perfect at everything. That just got really irritating after a while. My favourite characters were probably Joy's Hounds, like Bya. I really like dogs, so I imagined having a Hound like Bya and thought that that would be awesome. Overall, I didn't find the book captivating at all. However, near the end the plot started to thicken slightly more and therefore it became more interesting to read. That's why I think that the book managed to save itself a bit before the end. I felt that this book had potential, which it showed near the end, but for me this is going to still be 2 stars.